This self-help workbook allows each reader to find her way out of being religiously abused. One in four women of faith endure abuse in their homes, and Shirley Fessel wishes to help them stop the suffering through her book “Redemption from Biblical Battering: Your Path to Faith-Based Freedom.” A victor over ministerial abuse herself, the author understands how abusers misuse God’s name, Bible verses and faith concepts against their partners for power and control. They know the woman wants to please God and uses her desire to do good against her. The workbook clarifies seven levels of confusion and provides five tools she can use to regain her strength and God-given dignity. 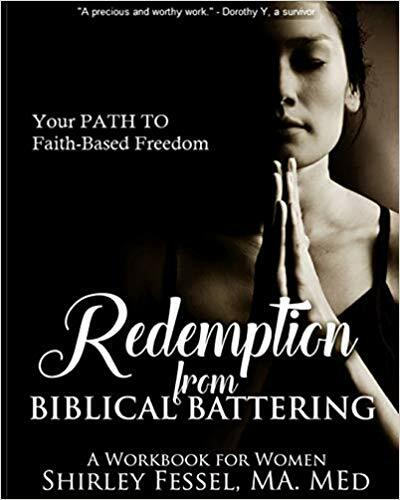 The LA Times Festival of Books will offer hope to every abused woman’s needs by showcasing copies of “Redemption from Biblical Battering: Your Path to Faith-Based Freedom” by Shirley Fessel. The festival will be on April 13–14, 2019 at the University of Southern California, San Diego. Shirley Fessel is an BA English graduate from Spalding College in Louisville, KY, and has earned her MA in Communication and MEd in Counseling at Wichita State University. She believes that recognizing women’s spiritual equality can create global change. With her understanding of human behavior and psychology, battering syndrome and religious concepts, she shares her own successful recovery process. The workbook is endorsed by therapists and women affected by Biblical battering.